Thank you for submitting your item for appraisal. 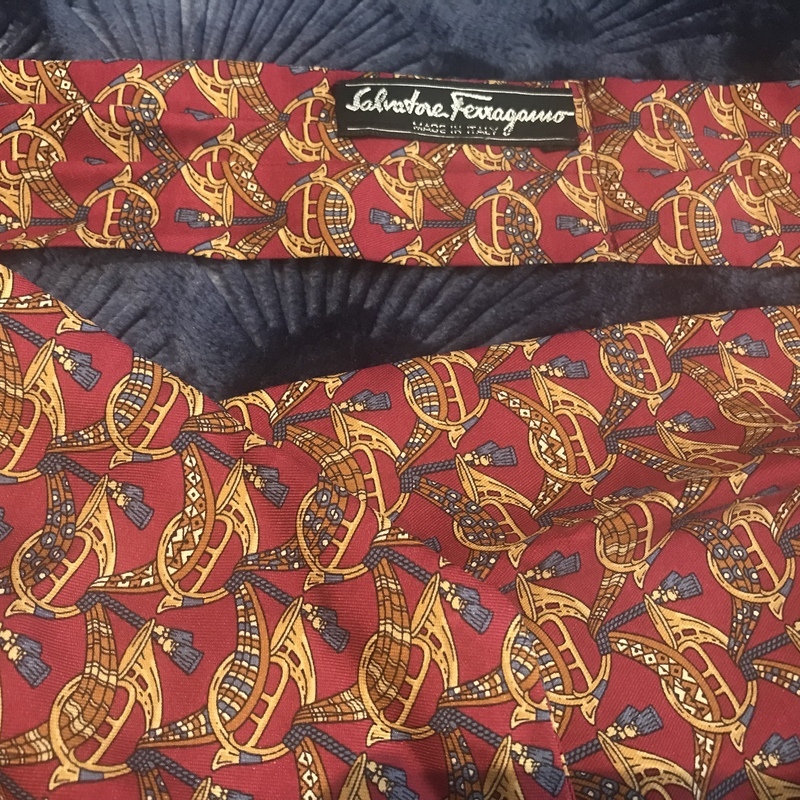 This appears to be a vintage 1960s Salvatore Ferragamo silk ascot or ascot tie or cravat, decorated with a repetetive golden french horn and scarf and tassels ornament on red ground, with the Salavatore Ferragamo Made in Italy label. The estimate is based on similar items sold at auction. There is always the possibility that someone desperately wants this particular pattern and who might be willing to pay more, but based on recent auction results the value should be within the given estimate. There is no measurement for the sentimental value you might attach to it.